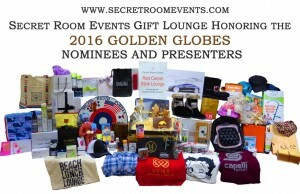 Secret Room Events hosted their annual In Honor of Golden Globe Awards Style Lounge on Friday January 8, at the SLS Hotel in Beverly Hills. 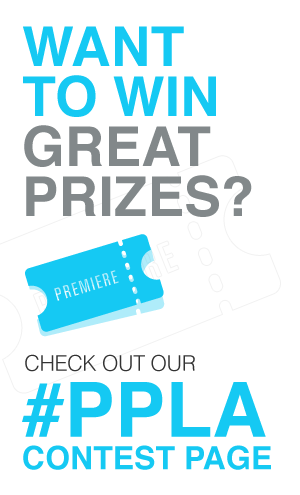 The event invited Globes nominees, presenters, and industry talent to experience a lavish lounge of gifts, treatments, and A-list style! Walking in to the SLS Hotel is always a treat. The hotel is impressive in and of itself, but walking in on a day where you’re surrounded by the best talent in the industry always give the air that special Hollywood quality! This year’s event included Platinum sponsors Derma e, Eve and Nico crafts & home décor, and Ruffle Girl Inc.
Eve and Nico is a woman-founded company with a heart for empowering women and supports causes that improve the welfare of societies. Knowing this, we were already in love going in but once we saw their gift bag of crafts for making your own jewelry, handwoven baskets, and other accessories we knew we’d be lifelong fans. Ruffle Girl Inc. was gifting their MomFinity Scarves in matching sets for you and your favorite mini-me! We also enjoyed checking out their top sellers including the ruffle pants and capri leggings sets. So cute! Derma e® gifted us samples of their products including the Purifying 2-in-1 Charcoal Mask, Firming DMAE Eye Lift, and Daily Detox Scrub which will be much needed to keep our skin healthy and beautiful after a weekend of Globes event hopping! Their line is make from some of the best of nature’s time-tested ingredients and backed by the latest scientific research. Derma e® formulates the most innovative and effective natural skin care products available in stores like Whole Foods today. Visit Santa Barbara – promoting tourism to one of our nearest day trip or overnight vacay destinations. They also gifted a bottle of their Golden Globes inspired local win label, a delicious Pinor Noir. Cheers to the Globes winners! Lilach Adoni is a designer who was raised in Israel and pursued her dreams of jewelry making here in US. Her custom pieces feature necklaces with the country or state of your origin and the engraving “Home Is Where The Heart Is.” Lilach resides in New Jersey now, my home town and I was thrilled to be gifted a gold N.J. necklace. The Travel Org is perfect for celebrities who are always traveling for filming or enjoyment and equally on point for anyone who enjoys a little jet-setting! It’s a convenient way to carry and store all your travel documents including itineraries, passports, currency etc. This family owned, mother-son business started across the pond in the UK but is about to be the next hottest import. Nadri Jewelry brought your red carpet glam to the room with exquisite jewels! I fell in love with a pair of earrings that would certainly make an entrance. Denman hair brush gifted a 24 Carat Gold Plated D4 Hairbrush which was specially commissioned for the Golden Globes gifting event. A showstopper for any hair & makeup team, and I’ve been using mine for days and feel a little extra A-List in front of my vanity! Pretty Women Perfume by Barbara Orbison (Roy Orbison’s wife) is a must-have gift! The bottle were imported from prestigious fashion houses in Paris (need we say more) and the scent is a melody of florals, spices and woods. It is a complex blend of hundreds of individual floral and spicy notes selected by Barbara herself. Fuel hair showcased their salon quality prodcuts including their continuous mist, free from chemical propellants and dispensed through a unique eco-friendly delivery method powered by air. That’s right no aerosol or pumps! I loved the sea salt spray, texture powder, and frizz free shine mist. Fernanda a Japanese beauty and skincare line was on hand with their full line of skin creams. This is the hottest product in Asia right now and we felt lucky to get an early look as the company is just introducing itself to the US market. I was gifted best-selling creams Maria Regale and Amelia swell. Twisted J a real cattle ranch from Texas was on hand (cowboy boots and hats of course) with their new line of apparel. The tote bag was the perfect gift to carry all our Globes lounge swag and the design is perfect for events like music festivals. Coachella, Stagecoach anyone? Don’t forget to check out their line of T-shirts too! Santa Anita Park– attendees were gifted four passes to The Chandelier Room for the Guest Chef Series at Santa Anita Park which includes four complimentary drinks, valet parking, Clubhouse admission, and features top restaurants like Republic Bestia, The Church Key and more. 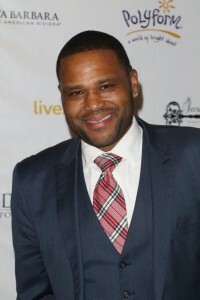 Attendees of the lounge included Golden Globe nominees Sicario Bernardo Sacacino, Johnny Ortiz, Sarah Hay, Nyle DiMarco, Richard Portnow, Saffron Burrows, Klaus Haro and talent Anthony Anderson, Allison Holker, and AJ Buckley.